This pared-down, easily packable hooded jacket is wind- and weather-resistant for the light showers and persistent winds you face when you’re on the road. 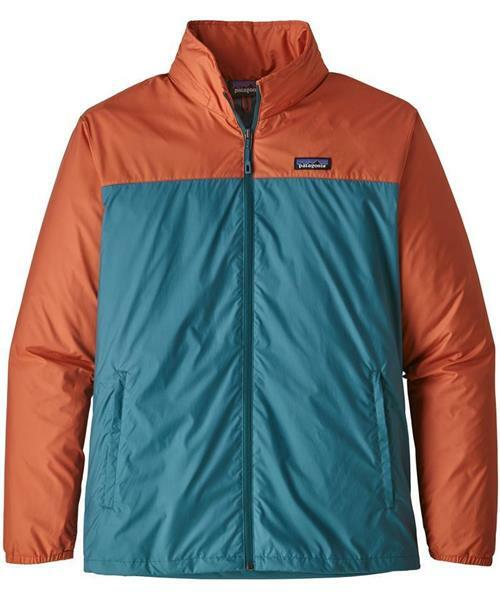 Made of ultralightweight 2.7-oz 100% recycled polyester with a DWR (durable water repellent) finish, the Light & Variable® Jacket also provides 50+ UPF sun protection. With a trim silhouette, it features a center-front zipper and flat-felled seam detailing for next-to-skin comfort. The stowaway hood has cinch ties for an adjustable fit. Self-lined, zippered handwarmer pockets have flat-felled side seams and rope-pull closures. The right pocket serves as a self-stuff pouch with a carabiner clip-in loop. Details include a drawcord hem, elasticized cuffs and a hip-length fit.